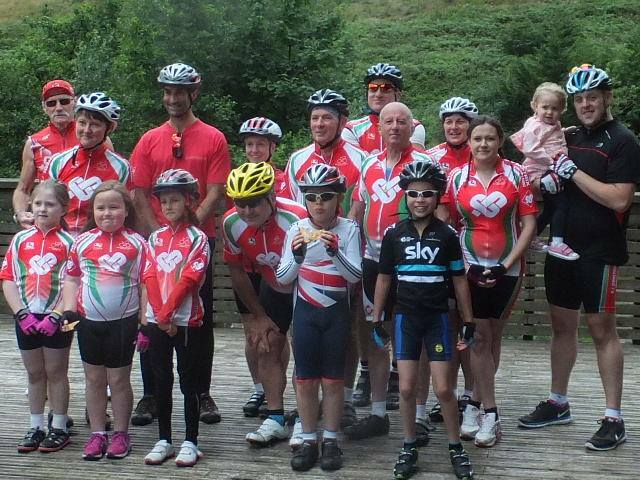 There was a fine turnout for the family ride to Glyncorrwg on Sunday. Well done to all those who took part. The results of the 4 up can be found by clicking Here. 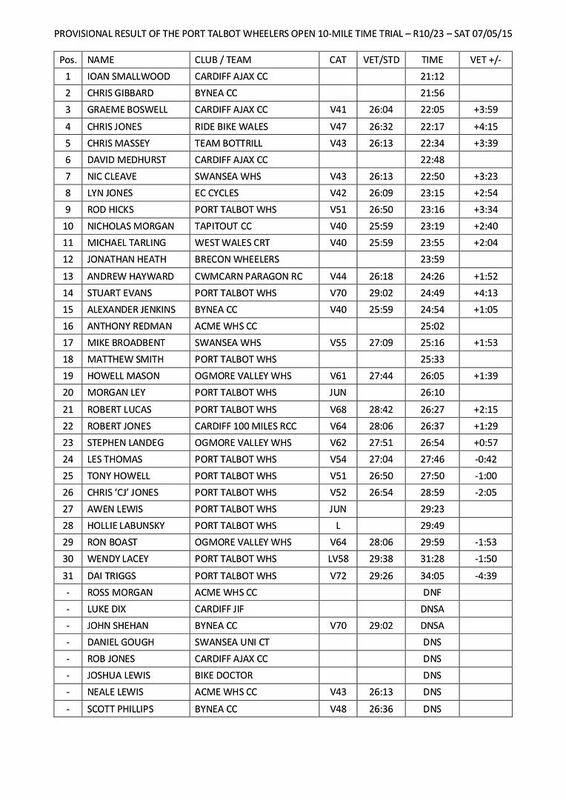 On Saturday 7th May at 2pm, Port Talbot Wheelers held a 10 mile TTT open event at Resolven. Event organiser was Alf Williams. The TT took place on the R10/23 course on the back road (B4242) with perfect conditions. The event was also the GHS 10 mile time trial in Resolven. This is the regional heat of the British schoolboy/girl time trial championships. Turnout was lower than we would have liked but those that did enter put in a great effort. Some incredible times. 25 minutes on the back road from a 12 year old! Winners of the age awards go to the national GHS championship. 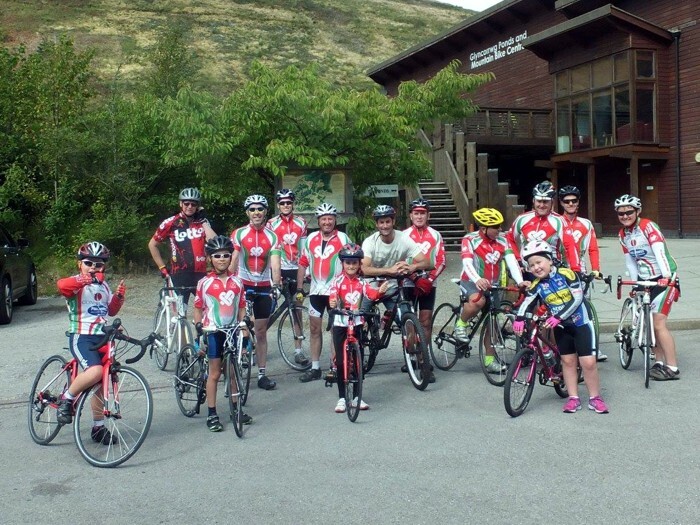 This was also the club handicap 10. Results from the handicap are as follows. Thursday evening Time Trials no longer open to entry on the night. We have just had a committee meeting and following the difficulties that Alf experienced last week in trying to take money, set the field, fend off irate drivers, and get items back to people who wanted to leave before he had finished timing. We have made the decision that for the forseeable future we will only take entries from fully paid up club members (First or second claim). For those who dont know what second claim membership means, its when you race for one club but are also member of a second club to allow you to ride club events. so joining will not jeapardise your member to you home club. Also to ease the timekeepers we ask the following. - We recommend that you carry a light as if we get high numbers again it may get dark. - try not to interupt the timekeeper for times etc. until he has finished timekeeping.